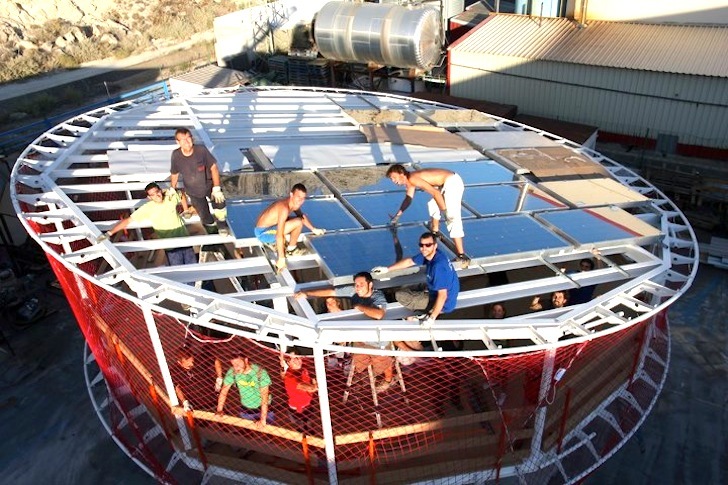 Casa Pi is the only circular house to make its debut at this year's Solar Decathlon competition in Madrid. Designed by the University of Zaragoza's team of architects and engineers, the solar-powered cylindrical home produces twice as much energy as it consumes, and it also uses 50% less water than average. The bottom 45 square foot level is comprised of a covered terrace while the upper level topped with an extensive photovoltaic array that includes a living area for a single couple. In addition to its unique circular shape which results in a heat reduction loss of 11%, Casa Pi is the only home made of concrete. Reinforced with glass, this material has a high thermal mass that will keep the house cool in summer and warm in winter. The PV array produces 5.5 kilowatts of energy, double what is necessary to power the home, which means the resulting energy can be fed back into the national grid and generate income. Another salient aspect of the University of Zaragoza’s design is its efficient water use. Thanks to an on-site constructed wetland that treats the home’s grey water, the modular Casa Pi uses half as much water as an ordinary home. 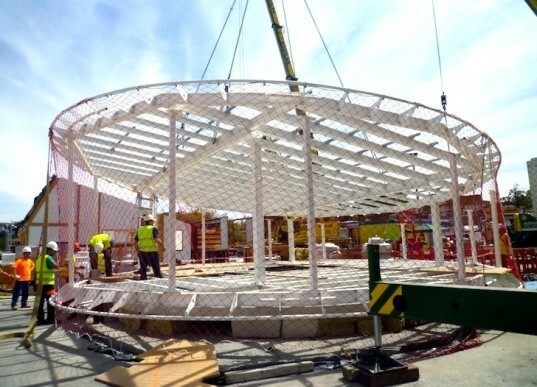 They are doing very well with their final construction at Villa Solar in Madrid and we’re looking forward to meeting them in person in just a few days!